PCC President Mark Mitsui received an influential visitor on Wednesday, July 26. 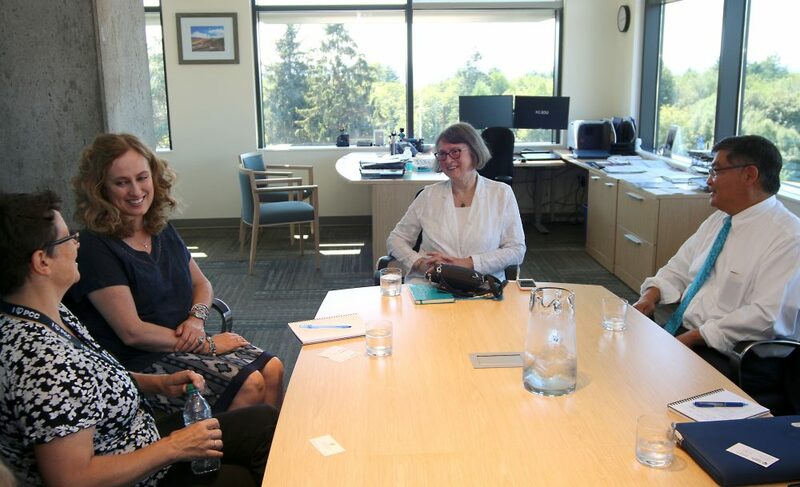 The Majority Leader of the Oregon Senate, Ginny Burdick, stopped by his office on the Sylvania Campus to discuss policy, PCC successes and programs, and future issues that could affect the community college. 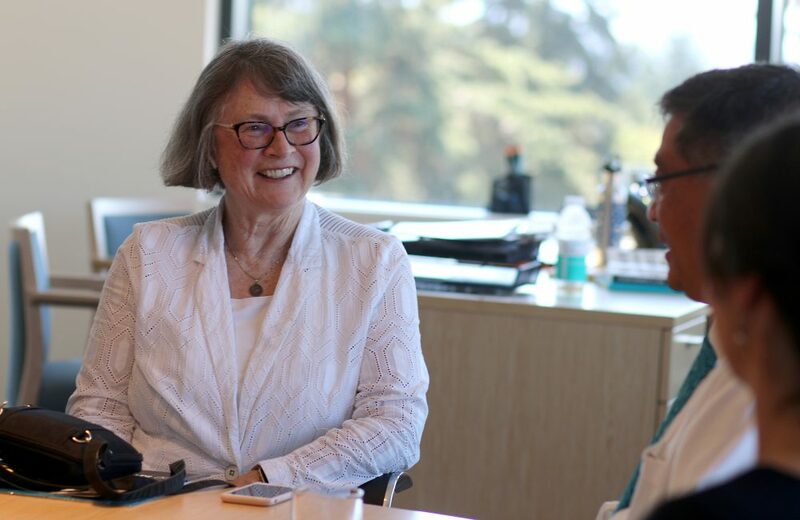 State Sen. Burdick, who represents District 18 (portions of Tigard, Southwest Portland and Northwest Portland), was updated by Mitsui on the college’s efforts to plan affordable housing solutions, closing the opportunity gap for students, career tech education initiatives, gun safety, and more. The president did touch on the budget being proposed for the state’s 17 community colleges of $787 million for the next biennium. Within this budget there is $70 million for CTE training that would double the number of annual graduates and another $70 million that would expand student success efforts. State Sen. Burdick was especially interested in PCC working with Higher Education Coordinating Commission to establish an emergency nursing program to help the 140 stranded students from the closure of ITT Tech graduate.